Task Duration Field in Project Plan Template - ANALYSISTABS - Innovating Awesome Tools for Data Analysis! Task duration is time required to complete the tasks. This will be calculated in hours, days, weeks, months or years. Task Duration is a required field and it is generally a numeric data type Field, in some cases it prefixes or suffix with time frames like 2 days, 3 hours, etc. Textbox control is used to enter number of hours or days. Below are the more important use cases of Task Duration in Project Plan Templates. Task Duration is depending on the complexity and volume of the work. Task duration may change based on working days. Company Holidays Effects Duration of the Task. Task duration is key field to prepare Gantt Chart. 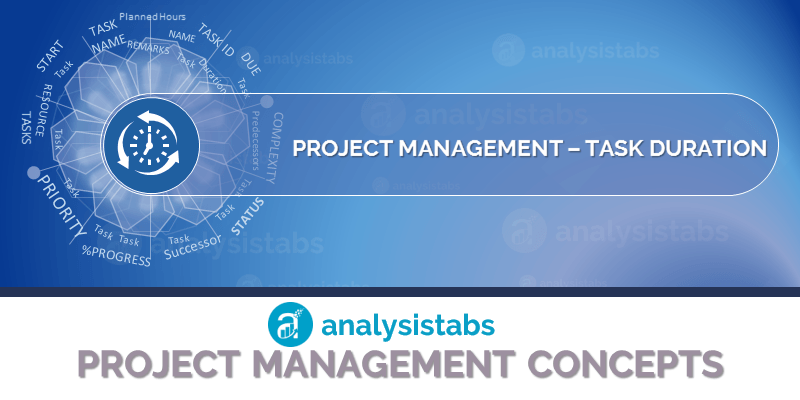 Task duration is a Mandatory field in the Project Plan Templates.